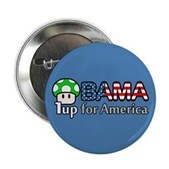 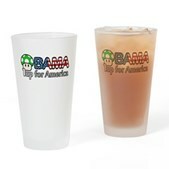 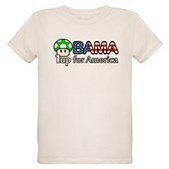 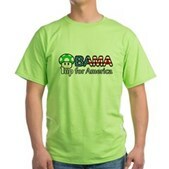 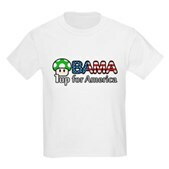 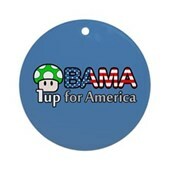 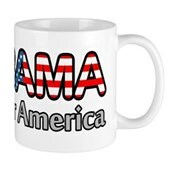 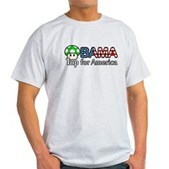 Support President Barack Obama and give America a green mushroom to power-up! 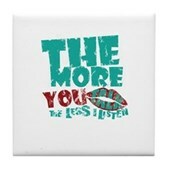 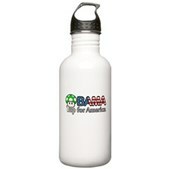 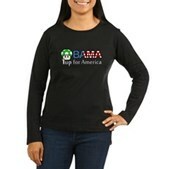 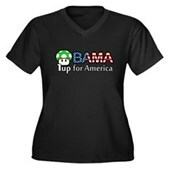 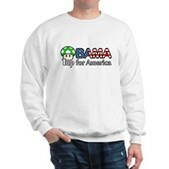 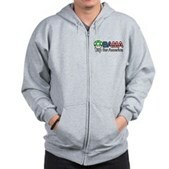 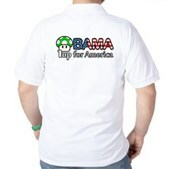 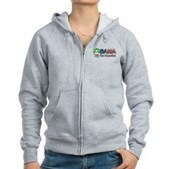 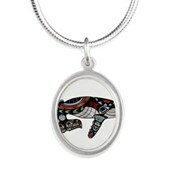 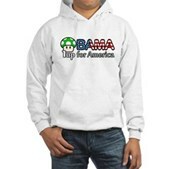 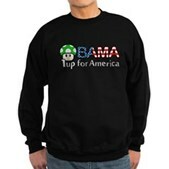 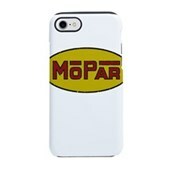 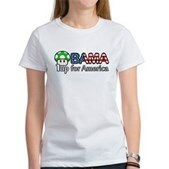 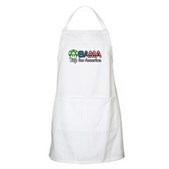 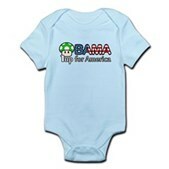 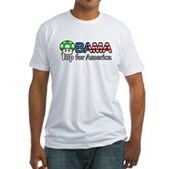 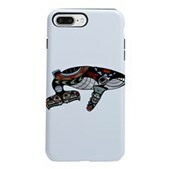 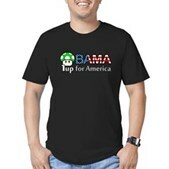 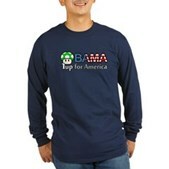 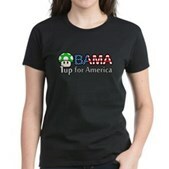 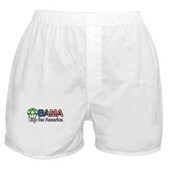 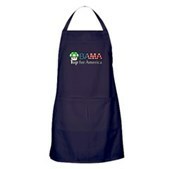 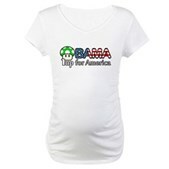 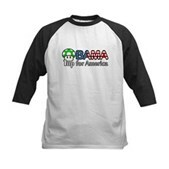 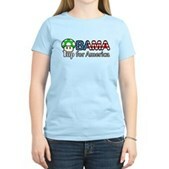 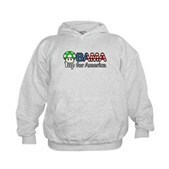 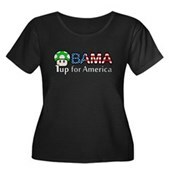 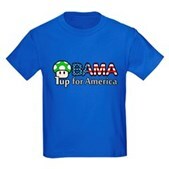 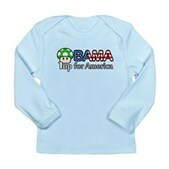 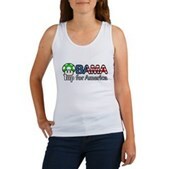 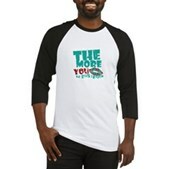 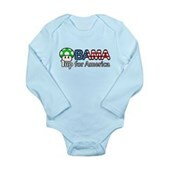 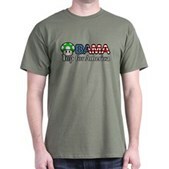 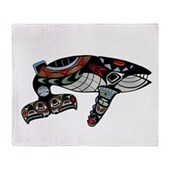 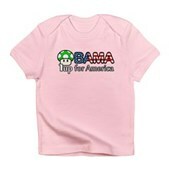 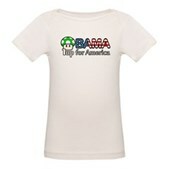 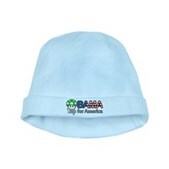 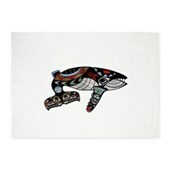 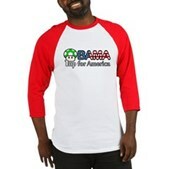 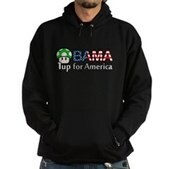 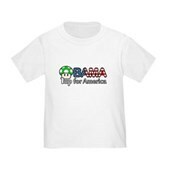 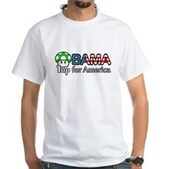 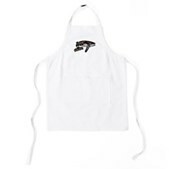 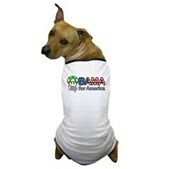 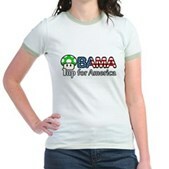 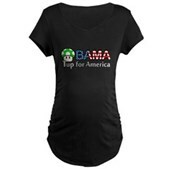 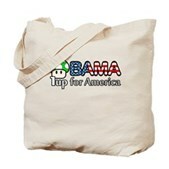 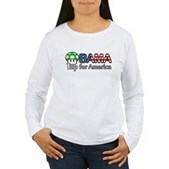 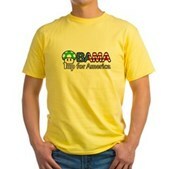 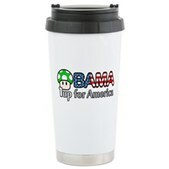 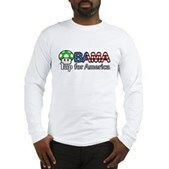 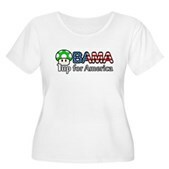 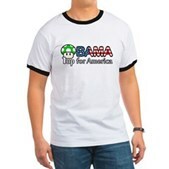 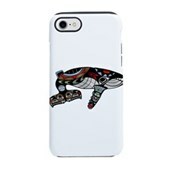 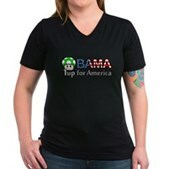 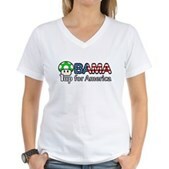 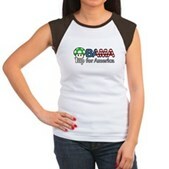 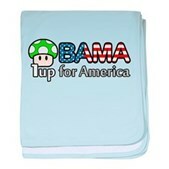 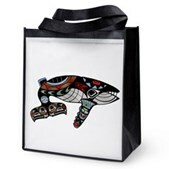 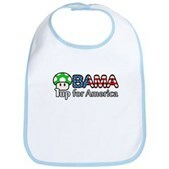 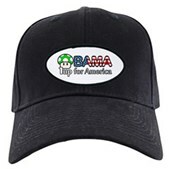 This cute Obama design is great for video game enthusiasts who want to show their support of our president in 2012. 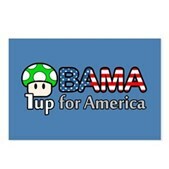 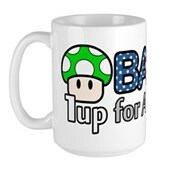 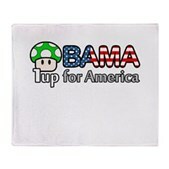 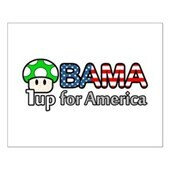 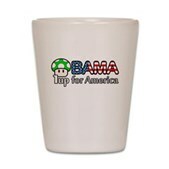 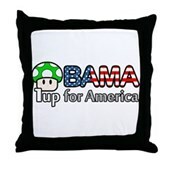 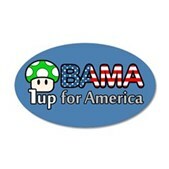 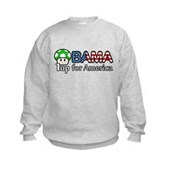 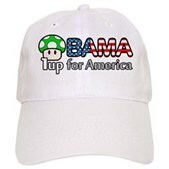 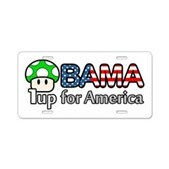 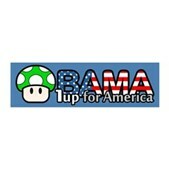 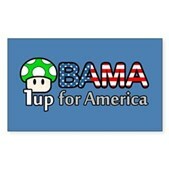 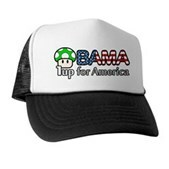 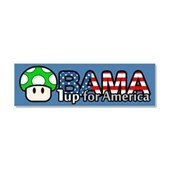 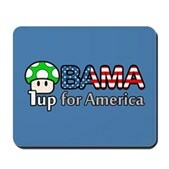 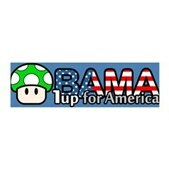 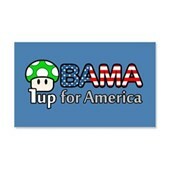 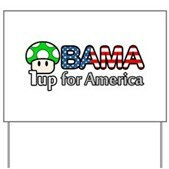 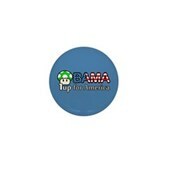 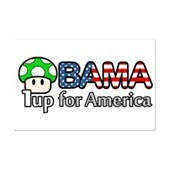 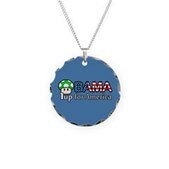 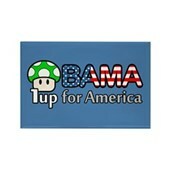 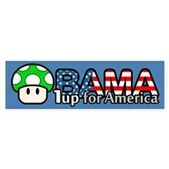 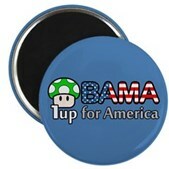 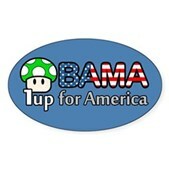 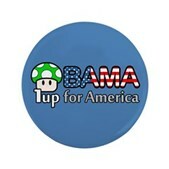 A vote for Obama = 1up for America!